This article will explain the meal plan / diet types we currently have available, the particulars of each one, and how to choose the one that best suits your needs. A classic diet includes meat, fish, dairy, fruits, vegetables, and grains without any specific dietary restrictions. 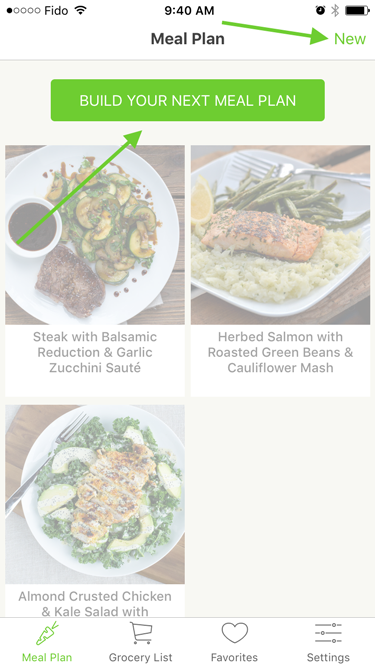 Mealime's classic meal plans closely follow the typical American diet. Essentially, it combines all the foods you'll find in our more restrictive meal plan options (flexitarian, pescetarian, vegetarian, and low-carb). If you eat a typical American diet, this is the diet type that will probably be best for you. A flexitarian diet can be thought of as semi vegetarian: it doesn't exclude any types of food, but it does suggest limiting the consumption of animal flesh and organs. Mealime's flexitarian meal plans are for people who love all types of food but don't want to eat meat too often. Essentially, it's a classic meal plan that errs more on the vegetarian side of things. As a flexitarian you can expect to eat meat 1-3 times per week. Low-carb diets restrict carbohydrate consumption to approximately 20% of total calorie intake, often for the treatment of obesity or diabetes. Mealime's low carb meal plans are for people who eat many types of food but don't want to eat too many carbohydrates. Essentially it's a classic meal plan that cuts high-carb foods like sugars, grains, pseudograins and pastas. A pescetarian diet is one that includes fish & seafood, but not the flesh or organs of other animals. Mealime's pescetarian meal plans are for lacto-ovo vegetarians who choose to also eat seafood. Essentially it's a classic meal plan that cuts the meat, stocks up on veggies, and enjoys frequent foods from the ocean. A vegetarian diet is one that abstains from the consumption of meat. Mealime's vegetarian meal plans are for people who want the simplicity of a no-waste meal plan while still enjoying a wide variety of vegetarian foods. Basically, it's a meat-free classic meal plan for people who identify themselves as lacto-ovo vegetarians. A paleo diet is one that is based on foods presumed to be available to Paleolithic humans. 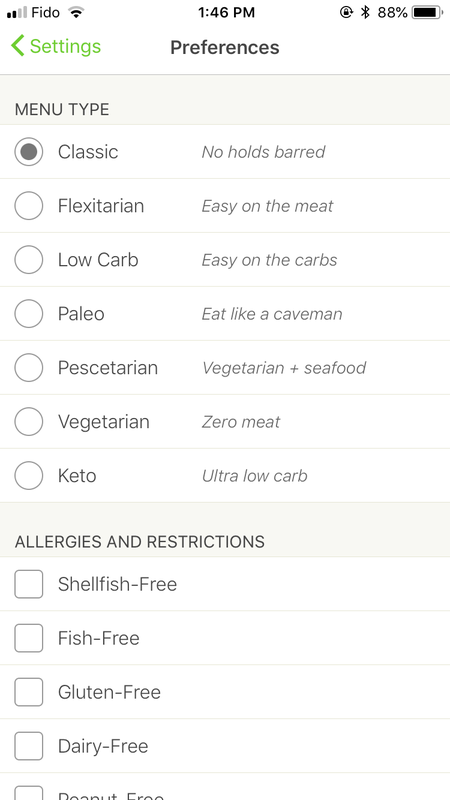 Mealime's paleo meal plans are for people who want to eat plenty of meat and vegetables, while eliminating refined foods like sugar and processed carbohydrates. A keto diet is one that aims, via ultra low carb consumption, to place the body into a state of ketosis. Mealime's keto meal plans are for people who want to eat plenty of meat and non-starchy vegetables, while eliminating high carb foods. You can choose any diet type when signing up and can change your selection anytime. 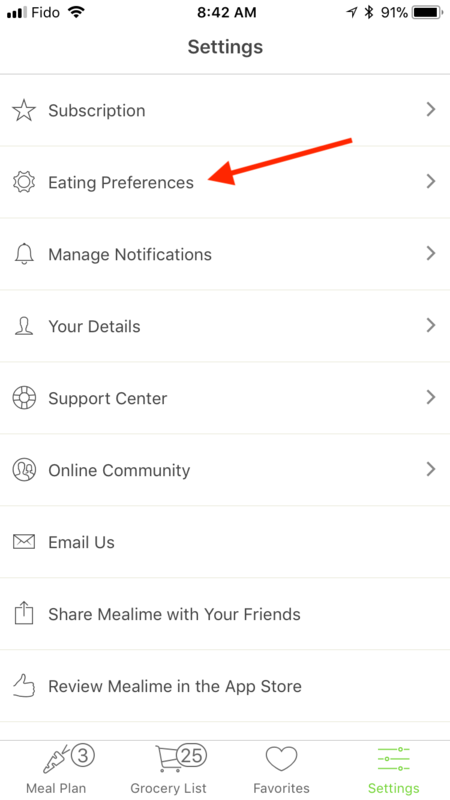 To change your diet type (or view our available diet types) open up the app and navigate to Settings. Then tap on Eating preferences. Next, select any of the available diet types under heading Menu Type.